Aniruddh Aragola, 14, is one of 10 finalists in the Grades 7 to 9 category of The First Page student writing challenge. 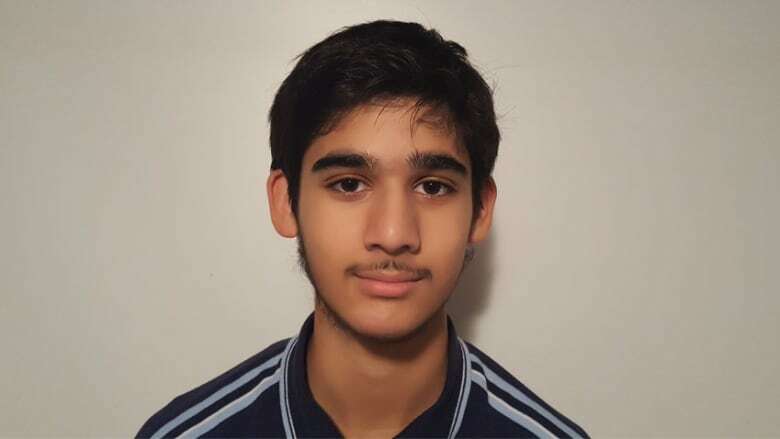 Sandstorm by Aniruddh Aragola is one of 10 stories shortlisted for the The First Page student writing competition in the Grades 7 to 9 category. Students across Canada wrote the first page of a novel set 150 years in the future, imagining how a current-day trend or issue has played out. Nearly 2,400 students submitted their stories. Aragola, a student at St. John's-Ravenscourt School in Winnipeg, Man., tackles the California drought in Sandstorm. The sand and dust scratched my face, each like a little dagger cutting my skin. I shifted my shawl to cover my mouth and nose. It helped a little, but I could still feel the wind churning around me, even covered up completely in shawls, with big leather boots on my feet, and large round goggles covering my eyes. Bill wasn't doing much better. He dug his hooves deep into the sand to keep his footing, making a dry scraping sound, but it barely helped against the wailing wind. He took two steps forward, then stumbled. He blinked repeatedly to keep the sand out of his eyes. Water sloshed in the four big cans strapped to his back, two on either side, each filled to the brim, and in the four he pulled behind him in a wagon. Stupid sandstorm. Stupid Sonoran Desert. I had set out from home three hours ago for the desalination plant, 25-miles west, on the coast of the Pacific Ocean. I would have been back home by now, if not for this storm. I could barely see the highway in front of me, which was guiding me back home. Signs supported on rusting metal above and beside the highway called it the I-8, but it didn't really have a name anymore. It probably hadn't been driven on for over a decade. Nobody used cars anymore, at least not out here. The asphalt was split with cracks and fractures, some so thin that they were barely noticeable, others like gaping chasms, running for several dozen feet. But the road was still helpful, since my family's home was right beside it. As long as I followed the road, I could always get back. Even in a sandstorm. Really, I shouldn't have been complaining. The storm kept me from having to think about the offer that man had made at the plant. Almost against my will, my hand went to the roll of paper he had given me, stuffed hastily in my pocket. Eventually an old sign emerged from the churning dust, and I sighed with relief. I saw this sign every week, when it was my turn to fetch the water. Home wasn't far away. On the west-facing side it was blank, except for faded graffiti, but once I walked past it I saw the inscription on the other side.